A country romantically referred to by its native Maoris as "The Land of the Long White Cloud," New Zealand is unique in every sense. Countless geysers, fjords, mountains, glaciers, lakes and beaches — nature here is completely unspoiled, even in the areas surrounding big cities. It’s not for nothing that New Zealand is recognized as the most peaceful place in the world. Recent years have also seen this country repeatedly being turned into a Hollywood film set. Lord of the Rings, the King Kong remake, and even The Last Samurai were all filmed here. Naturally, we here at Bright Side couldn’t pass up a chance to let you take a look at these stunning photos of the heaven on Earth that is this magnificent country. 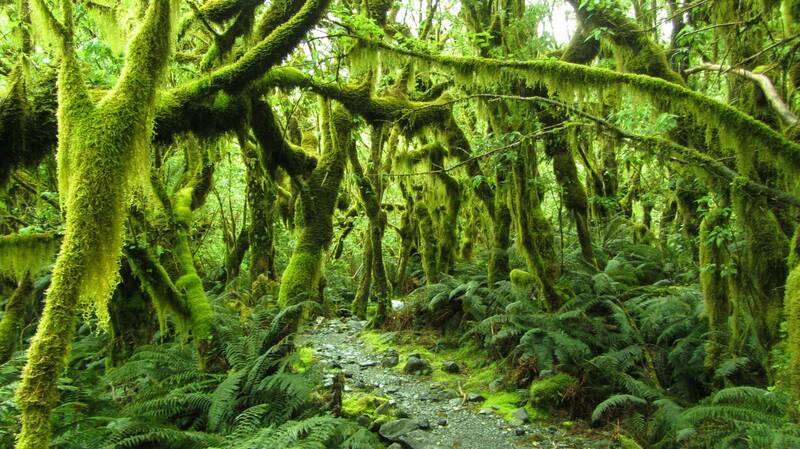 The forest at Milford Track — New Zealand’s most famous hiking trail. Blooming Lupins on the Coast of Lake Tekapo. A church and a starry sky. Lake Rotoiti at Nelson Lakes National Park, Bay of Plenty. Milford Sound, Fiordland. Rudyard Kipling called it the eighth Wonder of the World.